Since all six deer species were introduced to Australia for hunting and recreational purposes in the 19th century, they’ve been a welcome addition to the Australian environment. Perhaps one of the most charismatic of the country’s invasive species, deer populations have always been protected under legislation (with the exception of hunting season). However, they’ve now become one of Australia’s greatest animal pest threats. The numbers and distribution of all six deer species (Fallow, Red, Sambar, Rusa, Hog, Chital) have increased dramatically over the last few decades. This is in part due to natural population expansion, and also as a result of human intervention. A whopping 90% of the high deer population numbers are a result of human activity in the 1970s to 1990s. During this period, a number of individuals were released or escaped into the wild after the rise and collapse of deer farms across the country. There were also issues with hunters illegally releasing them into ‘deer free’ zones, which caused a huge spike in the number of feral deer species (especially Fallow, Red and Chital) spreading across previously unpopulated areas. Flash forward to the present and deer populations are now scattered across every Australian state and territory, with numbers at their worst in south-eastern Australia. Current data also suggests that they have a great capacity to expand to northern Australia if preventative measures are not taken. 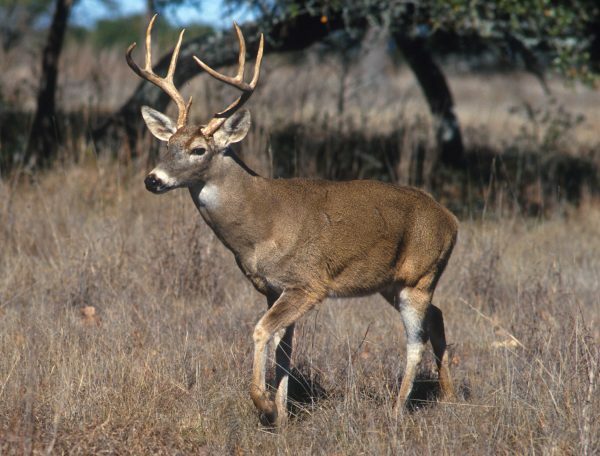 While the study of deer populations and their impact on the environment are in their infancy, early research suggests a number of plant species and deer grazing and antler rubbing seriously threaten ecological communities. This is especially prevalent in rainforest areas where the deer are altering the structure and composition of vegetation areas, which is in turn disrupting ecological processes. Deer are also big consumers of agricultural and horticultural crops, as well as stock feed. They often compete with livestock, damage property (such as fences), and stags (with their antlers) cause a number of deaths and injuries to livestock, either directly, or indirectly though spooking. Farmers are among those who have become increasingly frustrated with deer populations, as control efforts have been relatively limited in the past. Recreational hunting doesn’t provide enough population regulation; so illegal hunting is rampant, with many farmers shooting up to 100 deer per year. Methods for controlling feral deer are extremely limited in Australia, due to legislation that is influenced by animal welfare concerns and public/occupational health and safety. To learn more about animal pest control in Australia, contact the team at Animal Pest Management Services today!